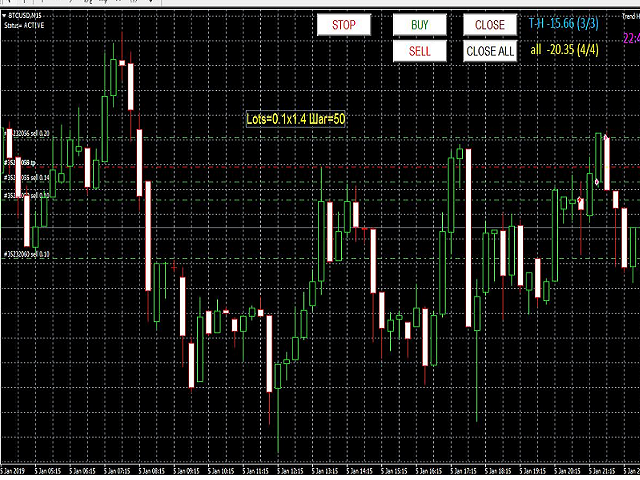 Trend Hend - Builds a grid of orders on the martingale, lot multiplier and grid step is set in the settings. But you open the first order yourself. With predefined parameters of the lot, stop loss, take profit, you can turn on trailing, and set the maximum risk.As well as the number of orders allowed for opening. All information is clearly presented on the chart. It is possible to close separately all orders opened by the adviser or all orders for this instrument. A very user-friendly interface.